Beautiful chopping boards are a kitchen essential. Bread Boards and chopping boards have so many different uses. Obviously, they can be used to chop your breads, cheeses, fruit and veg but they are also handy to use as a serving board for when you are entertaining guests, a place mat in the centre of your table for serving dishes and most importantly a decorative item in your kitchen that you can prop against your tiles when it's not in use (which is incidentally a great trick for renters if you’re not keen on the kitchen tiles). 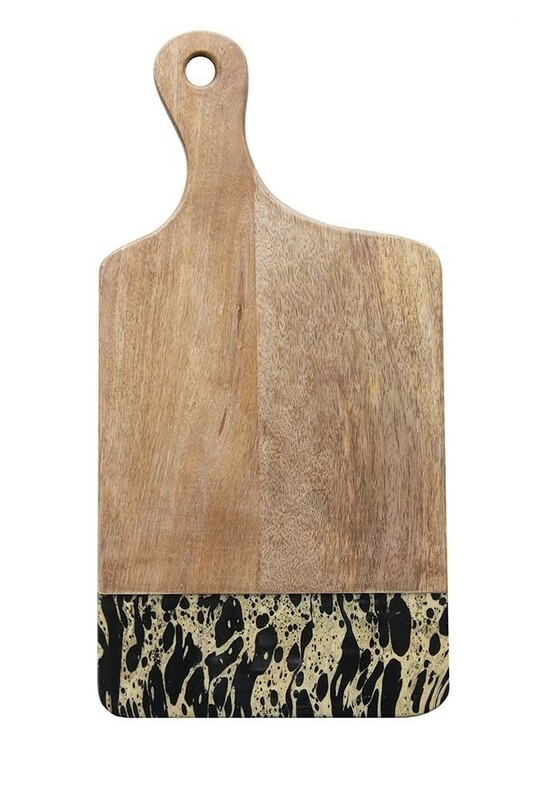 We love the Ink Dipped Mango Chopping Board because it serves all of these functions. Made from mango wood with a black and gold ink decorative strip at the end this unusual bread board will standout against your interiors. 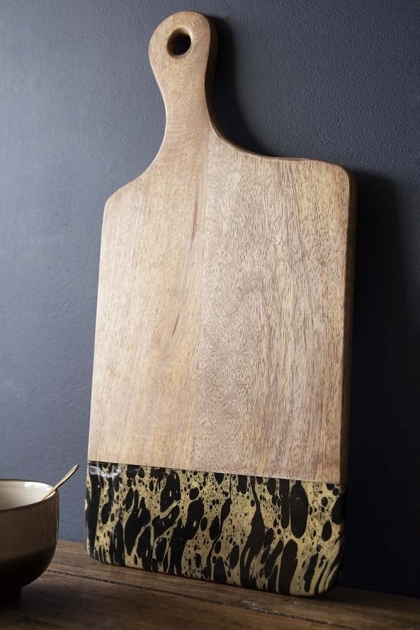 A lovely housewarming gift for new owners the Ink Dipped Mango Wood Chopping Board also comes in small and as a lovely bowl.